It’s officially fall! Many of you are getting ready for your year-end appeal, and the cornerstone of your campaign is your appeal letter. You want to create an awesome letter that captures your donors’ attention right away and convinces them to donate. Sounds simple, but it’s not. Here are some ways to ensure a successful letter. First, you need to get your donor to open your letter. Give some thought to the outside envelope. You could include a teaser. You want to be both personal and professional. If hand addressing the envelopes isn’t feasible, make sure your mailing labels look clean, are typo-free, and aren’t crooked. Use stamps if you can. Start your letter with a compelling story. Focus on a person or family and not your organization. Your donors want to hear about the people they’re helping. Here’s more information on creating stories and photos. How Are You Telling Your Stories? Ask for a donation at the beginning of the next paragraph (after the story). Also, ask your current donors if they can give a little more this year. Phrase your ask like this – We are so grateful for your previous gift of $50. Could you help us out a little more this time with a gift of $75? If you have been doing a good job of engaging your donors throughout the year, they shouldn’t mind if you ask for a larger gift. BTW, including the amount of your donor’s previous gift is helpful since people often don’t remember what they gave before. It’s not about your organization. Show how are you are making a difference and how much you appreciate your donor’s role in that. Make your donor feel good about supporting your nonprofit. Send different letters to people who have donated before and thank them for supporting you. You can also tailor letters to other groups such as lapsed donors, people on your mailing list who haven’t donated yet, event attendees, volunteers, and friends of board members. Your letter should have a personal salutation and not be addressed to Dear Friend. In addition, include a link to a user-friendly donation page on your website. Even if donors receive a letter, they may prefer to donate online. Monthly gifts can generate more revenue. 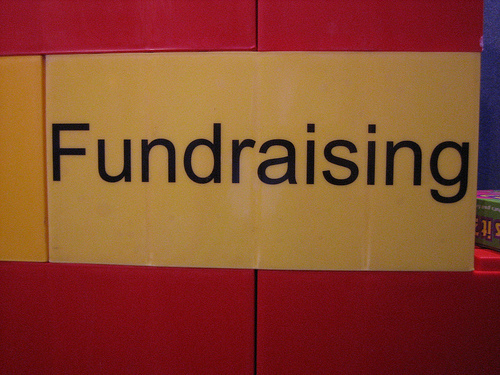 Encourage your donors to give $10 or $20 a month. If they do, you are getting gifts over $100 each! Use short paragraphs and bulleted lists. Use bold or color for key words, but keep it tasteful. Make it easy to read and scan. Use a simple font and keep in mind that 14 point is the new 12. It’s fine to go over a page, especially if you are breaking up the text with a photo and short paragraphs, but I wouldn’t go over four pages. You can also add a quote or short testimonial. These can be powerful and it helps break up the narrative. Use a conversational tone and keep out jargon like disenfranchised individuals and underserved communities. Be specific and use everyday language. Refer to your reader as you and use you a lot more than we. How to Perform the “You” Test for Donor-Centered Communications – Do You Pass? Your entire staff shouldn’t need to be involved in creating your letter. Your best writer should craft it and then turn it over to your best editor. Whoever signs the letter (your Executive Director?) can take a quick look at it, but don’t go overboard. Not only does involving more people take extra time, it usually weakens the content. Keep it fresh. People often gravitate to the PS as they scan the letter. Here you could emphasize monthly giving or ask if their company provides matching gifts. Include a short handwritten note. Make it relevant to each donor, such as thanking her for a previous donation or letting him know it was nice to see him at a recent event. Hand sign the letters in blue ink. Send out an awesome appeal letter that will capture your donors’ attention and bring you the donations you need. Good luck! Need some more inspiration? Read on.